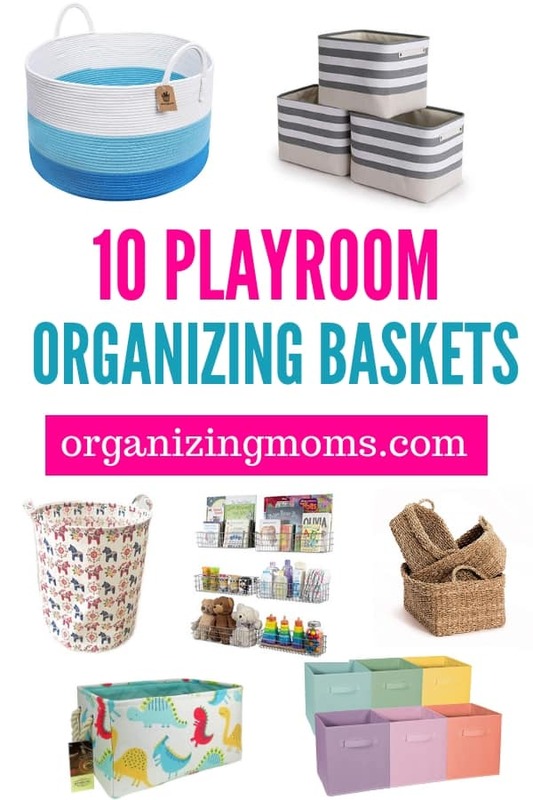 Looking for some playroom baskets to organize and transform your room? Organizing with baskets is a great way to tackle toy clutter. 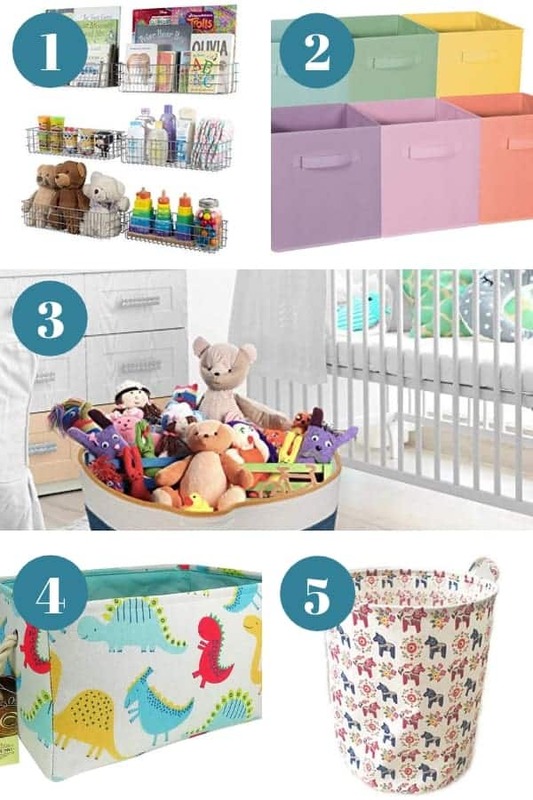 Here’s a handful of playroom baskets that might be the perfect basket for your space. These baskets will help you maintain a cleaner space when your little ones aren’t in the playroom playing! Give those toy trucks, baby dolls and building blocks a place to go. You will find incredible baskets that will help you utilize your space, free it of clutter, and offer an element of design. 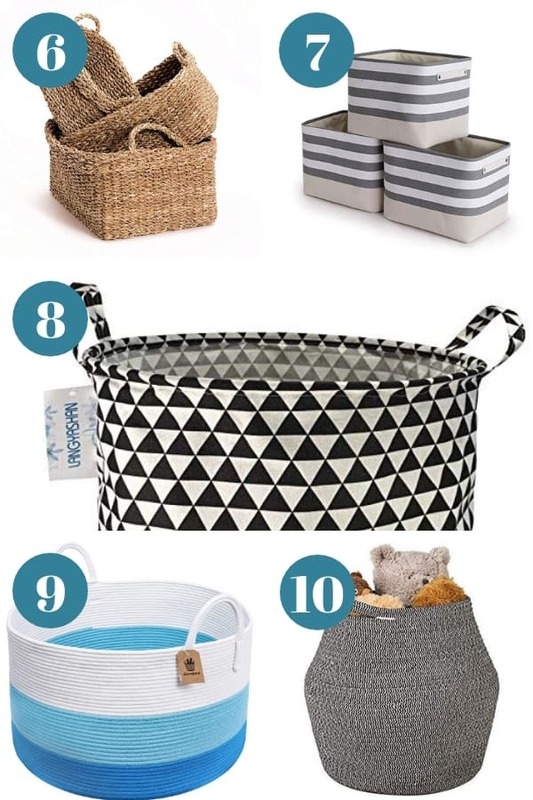 Here are the top picks of baskets perfect for playrooms. Metal Wall Mounted Shelves | these are such a versatile piece. 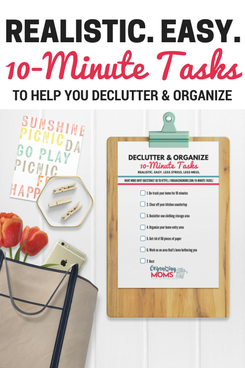 From storing books, small toys, and more. The sky is the limit for these shelves, and they will last a long time. Foldable Cubes | I LOVE these. you can fold and tuck away when they are not being used for minimal space used. Then toss in building blocks, cars, doll clothes, etc. The sky is the limit for these easy cloth cubes. Cotton Rope Bin | Looking for a statement piece for your room? This extra large rope wrapped basket is gorgeous to look at, but also great for storing a lot of items in your playroom! Animal Themed Rectangle Basket | You can invest in some of these baskets, you will find they have different sizes and prints available. Options for a girl or boy rooms, as well as gender neutral. 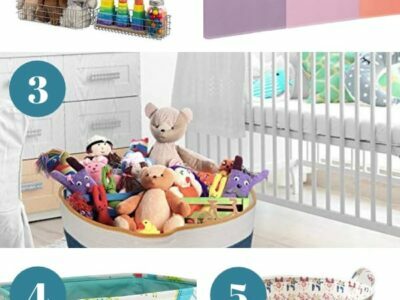 Laundry Basket Hamper | This style of hamper can be used for of course clothes, but you could also use it for tossing in toys. Whether it is stuffed animals, extra blankets and pillows, etc. Woven Nesting Baskets | This set of woven baskets is a classic piece to showcase in the room, to kind of hide the toys, and give it a clean and modern look. Lattice Baskets | These striped baskets are a great one to have on hand. They are a great size for using to stuff in toys or even books. Then let your little ones help pick up and load the baskets easily, without it being too heavy. Large Storage Bin | Another great option with a really modern and clean look. Foldable bin that is great for stuffing a ton of toys in to hide them from eyesight. Large Rope Basket | This larger basket is a shorter style basket perfect for little toddlers to easily access the toys inside when they get to play in their room! Tall Rope Basket | Here is another rope basket that is a stunning piece. Great to tuck in a corner of your playroom to stash extra toys for a clean and open look. Playrooms need constant upkeep and modifications as your children go through different developmental stages. Teaching your children to help keep their toys organized and picked up will save you a lot of time and energy. But, you need to create a straightforward system organizational system that children can easily use. By starting with a good plan and communicating it to your whole family, you’ll have a much easier time of maintaining toy organization. Smart Ideas for Organizing with Baskets– Hundreds of options for organizing with baskets in your home or office. Subscribe (free!) and I'll send you the password to access my library filled with printables, checklists, guides, and more to help you declutter and get organized! 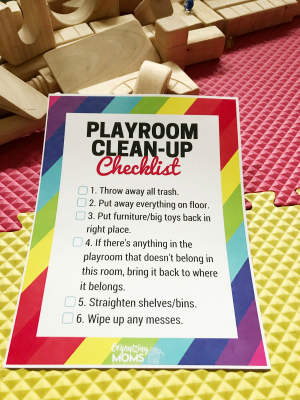 The Playroom Clean-Up Checklist is included in the printables library.